Ron and Maggie Tear Photography: Fire light. 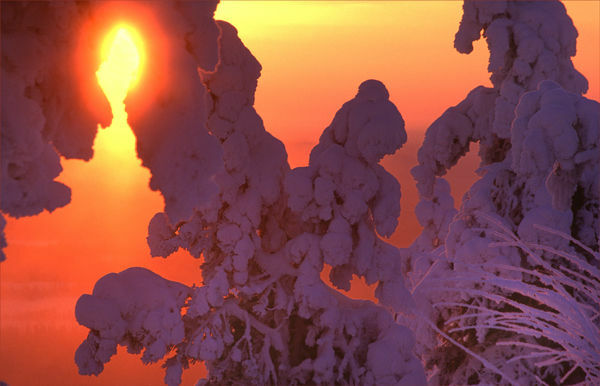 Clarity of atmosphere results in superb vibrant sunrises, -32 a challenge. Finland, Olou, near Arctic circle, Europe.